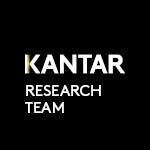 Kantar Consulting’s team of analysts hit the stores on Black Friday and came away with some distinct impressions. Here’s a rundown of the key themes we saw this year. As we stated in our pre-Black Friday blog, a higher share of shoppers planned to shop Black Friday (online or in store). On the ground, our analysts noted that crowds at stores were at least as strong as they were a year ago, but traffic varied widely by retailer. Kohl’s, Costco, Best Buy, and Old Navy drew notable crowds. And while we observed Sam’s Club, Target, and Walmart to be about as busy as they were a year ago, “crowded” would not be an apt description. JCPenney and Macy’s were mixed with some signs of life at tier A malls and very light traffic at the tier B malls we visited. Very weak traffic at some struggling malls may have contributed to the modest decline in shopper traffic reported by one source that tracks malls and a limited number of off-mall retailers. Implication: While the bulk of holiday spending is still ahead of us, it seems that the retailers that had momentum heading into the holiday continued to attract shoppers on Black Friday regardless of shopping platform. Notably, though, it was the deals that seemed to attract shoppers, not the store experience which for the most part was underwhelming. Implication: Reduced Black Friday signage indicates retailers are using the increased store traffic to pitch their ability to be everything to holiday shoppers throughout the season, rather than just on one day. Retailer apps and digital marketing that help shoppers identify and locate deals are also making in-store signage not as necessary. Every retailer pushed for a bigger share of holiday toy sales this year to replace any potential void left by the bankruptcy of Toys R Us. Incumbent holiday toy destinations, such as Target and Walmart, noticeably expanded their in-store toy selection. Walmart even asserted itself as “America’s Best Toy Shop” in signs throughout the store. Clubs and department stores increased their emphasis on toy as well. Best Buy and Home Depot made a play for toy shoppers with mixed results. What was less obvious to our analysts was whether shoppers were really buying it — either the toys or some of these retailers’ toy offer — as toy aisles seemed lightly trafficked. This may indicate shoppers were focused on Black Friday deals in other categories or shifting more toy spending online. In addition to day-of Black Friday deals, some Black Friday promotions allowed shoppers to “cash in” during the remaining weeks of the holiday period. Target offered several promotions for shoppers to buy an item or spend a certain amount on Black Friday and get a discount or gift card to use later in the holiday season. Kohl’s leaned in on its Kohl’s Cash offer to keep shoppers spending beyond Black Friday. Implication: Sales on Black Friday are only one measure of success for the promotional period. Shoppers have a proliferation of options once they leave a store, so driving return trips through the rest of the holiday season is just as important for a retailer’s holiday success.